Flash sale sites are nothing new. In less than a decade, they now bite at the heels of more established, traditional retailers. They compete on price, and introduce urgency into the equation: there today, gone tomorrow. With few exceptions. Their return policies lean toward ‘final sale,’ although some do offer store credit or refunds minus a restocking fee. But it ain’t no Nordstrom. Gilt was just starting when I graduated in 2009, and since then, it has seen a great arc, one that it has mostly shared with similar setups like ideeli, MYHABIT, Fab, etc. Through obscurity, to initial public offerings, to falling grace and now the awkward adolescent stage of life. Theoretically, they are a boon to savvy consumers. 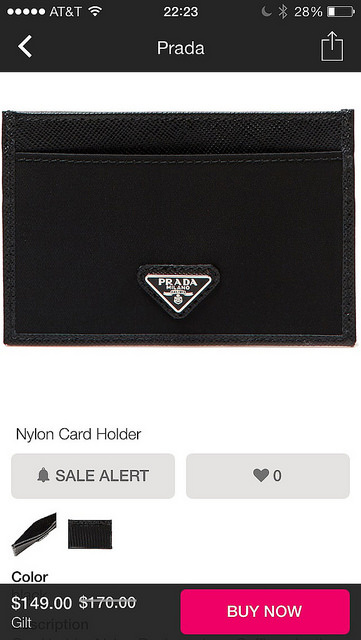 Who doesn’t like a cut-price deal, especially on high-margin luxury goods? I hate to use a phrase we all know by heart, but it applies well in this case. There is little price latitude retailers have when selling a particular product, except that which applies to their own bottom line. 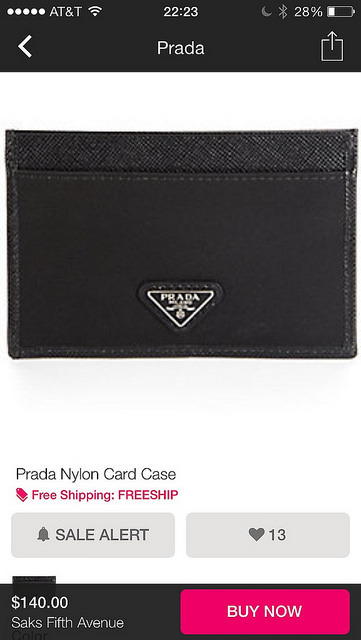 Prada will set the MSRP for its product, and a wholesale price is what Prada charges Saks, Neiman Marcus, and its various other vendors for a product. The difference between the MSRP and the wholesale price is where retailers make their money. Outside of Prada deciding to diminish its own margins and likewise damage its image as a premium, aspirational brand, Gilt is hard-pressed to source its product at a lower price point, whereby it could say: $140.00 $100.00. What Gilt can do, and does (although not always), is create the perception of a discount. It is the same argument I have made against outlet malls. The circumstances are not constant if you look at the product, the prices, and the real cost compared to traditional retail. Now, if you watch and wait for twice-yearly sales, then you can grab some sweet deals. But it’s important to be wary, and to be informed. A simple search could have shown that the same product was indeed not an MSRP of $170.00. But you probably believed it, didn’t you? Above a certain point, an extra $30 doesn’t raise eyebrows. And Gilt knows that. I stumbled upon this particular example. It was chance, but I’m glad I did, because I had a feeling, occasionally browsing Gilt and others, that their ‘original prices’ were inflated.